I have been so crazy busy the last two weeks, that I haven’t even thought of what our #TeamGellibean episode would be for release, today. My sisters are arriving in just a bit, and I wanted to make sure I got as much work done as possible, so that when they got here, I could relax and enjoy their company. I didn’t take into account that some videos might not get approved, or that I would get food poisoning after watching The Avengers. Unfortunately, getting sick isn’t usually in the plan, and yesterday I was laid up and sick as a dog. So, when I talked to my team, (B & T) they suggested that the four kids star in this week’s episode of #TeamGellibean. To be honest, there wasn’t much more that I could do other than lay on the sofa while everyone was cooking up some goodness in the kitchen. 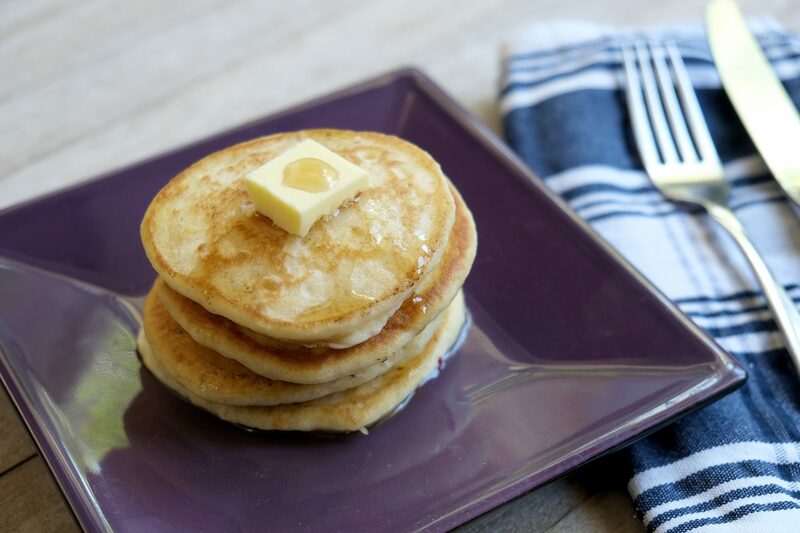 The pancake recipe we love using and keeping on hand is from Alton Brown. I’m sure you guys know him from Food TV!